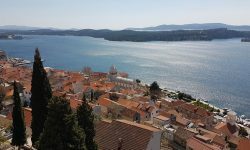 This small coastal town is located about 8 km southeast of the historical city of Zadar, where along the main road, many promenades and beaches stretch at about 4 kilometres of coastline. One of the advantages of this small Dalmatian town is the proximity to five well-known national parks and two nature parks of which most notable are the National Park Kornati National Park Paklenica, Plitvice Lakes National Park and Nature Park Telascica, Vrana Lake Nature Park and Velebit Nature Park. Bibinje has only 4000 inhabitants and the name Bibano / Bibanum dates back to the 11th century. Tourism began to develop during the mid-20th century, and the title of a tourist town was ensured by the fact that there are over 2500 beds in 800 registered rooms and suites. 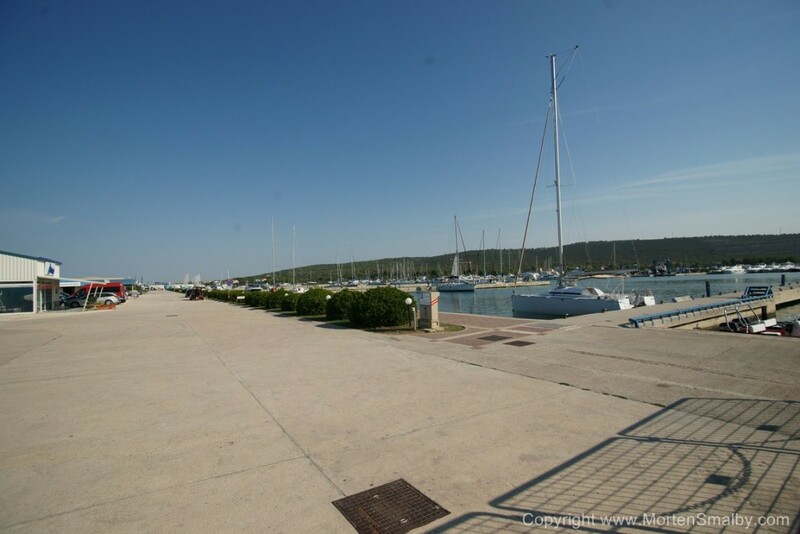 Bibinje is also a known nautical centre thanks to the largest Marina on the Adriatic coast, Marina Dalmacija which lies partly in Bibinje, partly in Sukusan. 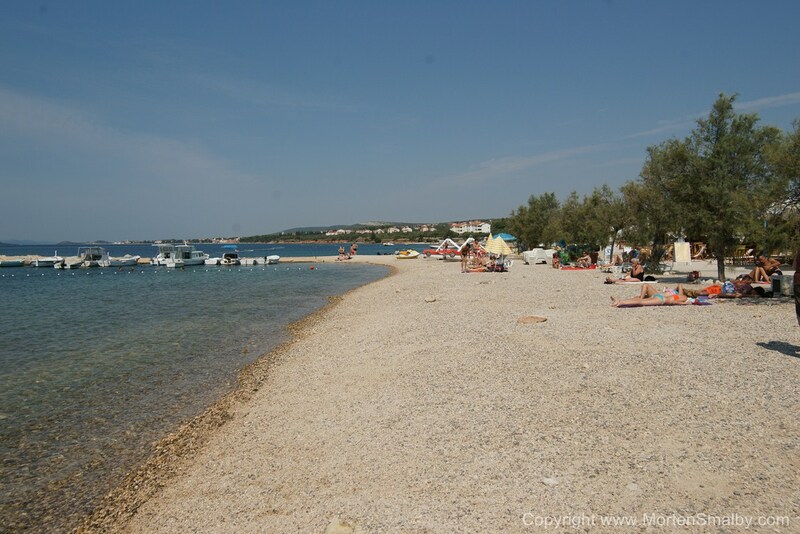 Beaches in Bibinje stretch for a few kilometers starting from Zadar until Marina Dalmacija. The beaches are mostly sandy. 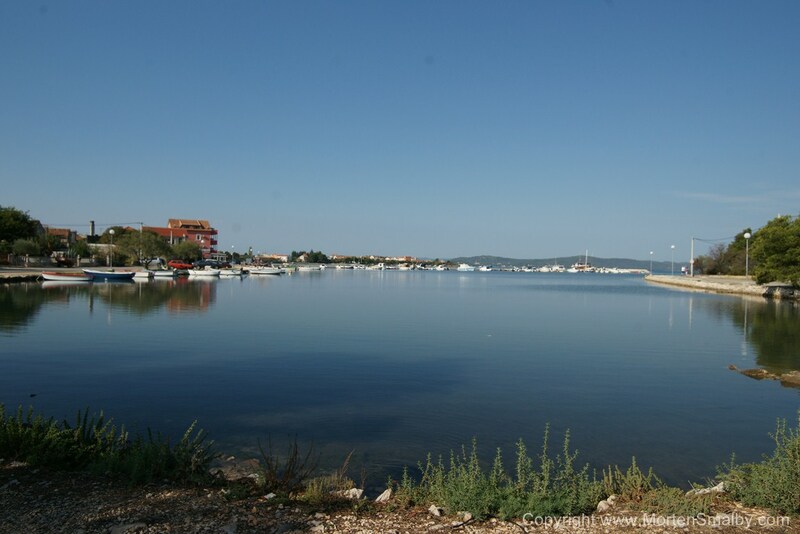 Within the area of the marina there is a large “private beach” which is unique on the Adriatic. Beaches located in the city center (Branimirova obala, Sulterova vala, Obala Alfreda Lisice) tend to be crowded during the season. To avoid crowds, we recommend that you choose beaches that are located further south such as Punta Rozic (partly sand with part of concrete terraces), or even somewhat further beaches Padrele and Punta. Bibinje has no big hotels and, as we have already mentioned, the town has more than 2500 beds in private rooms and apartments. As for camping in Bibinje, there are a few of them and most are located just a few meters from the sea. In Bibinje you can find many cafe bars, restaurants and taverns where you can feel the true spirit of this Dalmatian town and enjoy a variety of local delicacies. The gastronomic offer includes a variety of local Dalmatian dishes prepared according to traditional local recipes. The offer includes daily fresh fish which, in combination with local, olive oil, fresh vegetables and homemade wine provides a unique gastronomic experience. There are also unavoidable meat specialties, which in no way lag behind those made of fish, also cooked in a traditional Dalmatian style. Bibinje has a very interesting ethnographic collection in the town museum as well as a sacral one which dates to the 15th century, and is located in the Church of the Nativity of John the Baptist. In the village there are five Catholic churches – the Church of St Roko (patron of Bibinje) built in the 16th century, and the Church of the Assumption of the Blessed Virgin Mary which was built in 1984, the Church of Martyrdom of John the Baptist in Punta – a Romanesque church with a semicircular apse built by the Benedictines from abbey Rogovski in Biograd in the 12th century which was renewed by the residents of Bibinje in 1990, the Church of All Saints which is located at the foot of Sasavca mount with a stone altar with a cross in the form of Croatian wattle on the front. Besides comfortable accommodation and beautiful beaches where in the crystal clear waters you can enjoy swimming, diving, surfing and other beach activities, during your stay in Bibinje you can also enjoy various other activities such as walking, running, biking, rafting on Zrmanja etc, or you can opt for a day trip to one of the national parks and nature parks that are near Bibinje. There are a few smaller supermarkets in Bibinje where you can find all regular daily goods. 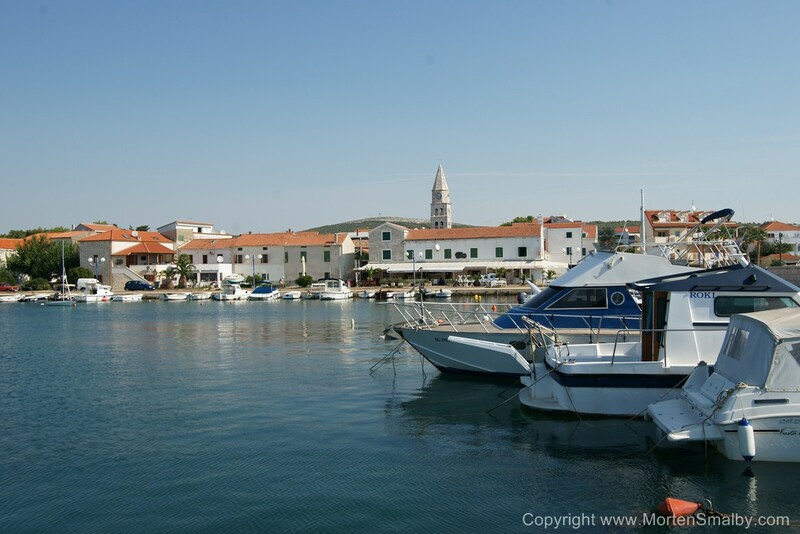 If you need to shop for a weeks self-catering holiday we recommend you go to Zadar. 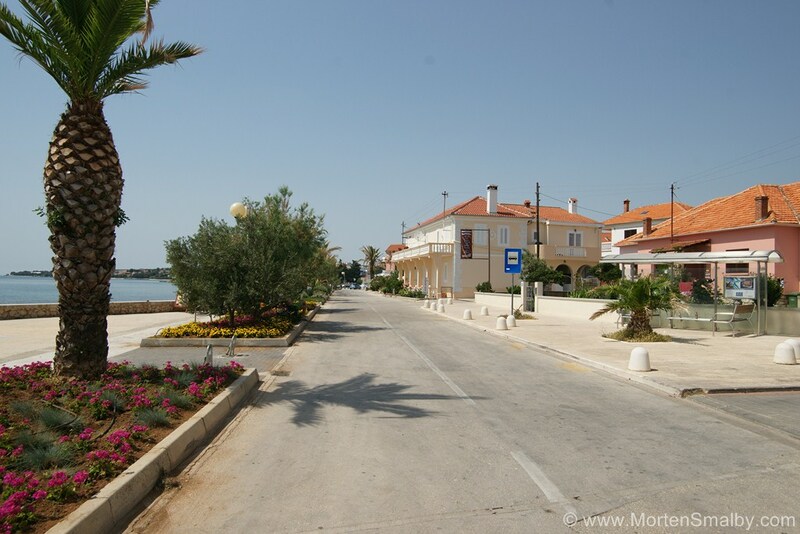 In Bibinje you can find service for motor vehicles and marine engines. There is also a post office, currency exchange, doctor’s office, dentist and pharmacy. In Bibinje, as well as in other small Dalmatian towns, you can have fun to the Dalmatian song, dance and a wide range of local specialties. On the beaches there are a few cafes where you can relax with a variety of drinks and cocktails. During the summer, some of them have a variety of performances and DJs. Larger discos and a livelier nightlife can be found in Zadar. The closest A1 highway exit to Bibinje is Zadar 2 which is some 15 km from Bibinje. During summer months there can be larger traffic jams on the highway. If you are coming from direction Split or Dubrovnik you can use the coastal road which is much more interesting since it passes many picturesque places of Dalmatia. The nearest airport is Zemunik near Zadar, which is 12.2 km/16 min away by route D502, the Adriatic highway and Benkovacka road 15.6 km/19 min, and if you choose the D8 road it is 15.6 km and19 min. Regular bus lines that operate along the coastal road stop on the coastal road in Bibinje and from the airport Zemunik you must first go to the main bus station in Zadar to catch a bus to Bibinje.